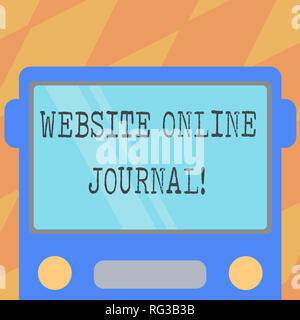 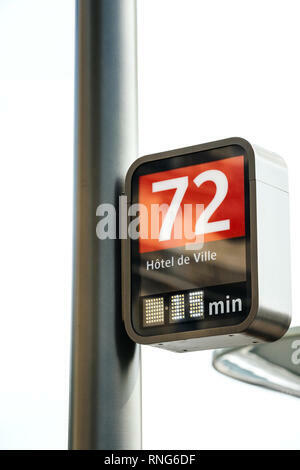 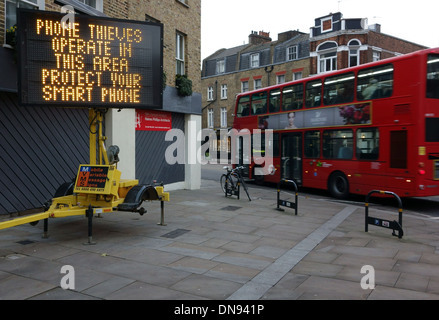 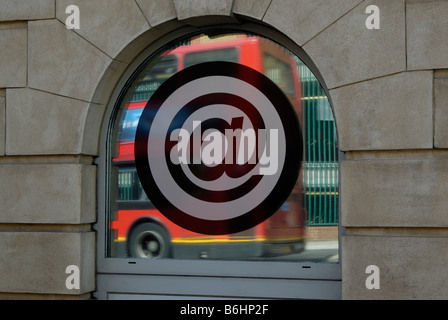 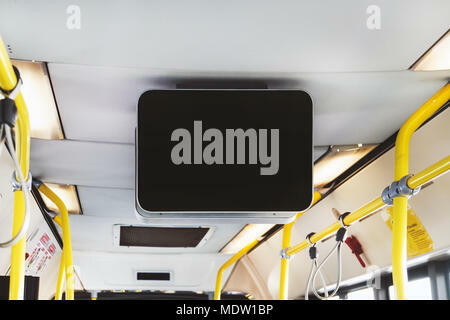 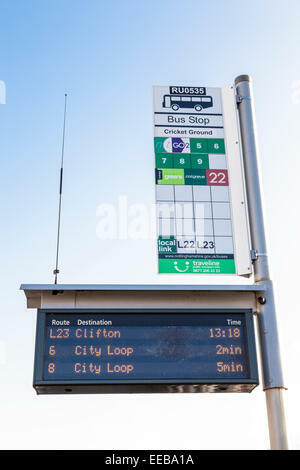 Bus stop with electronic sign. 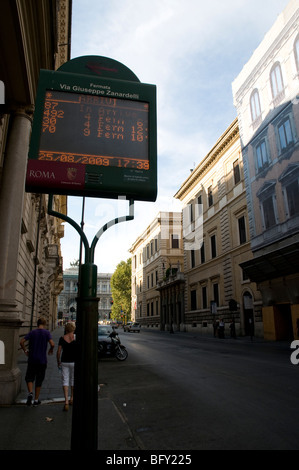 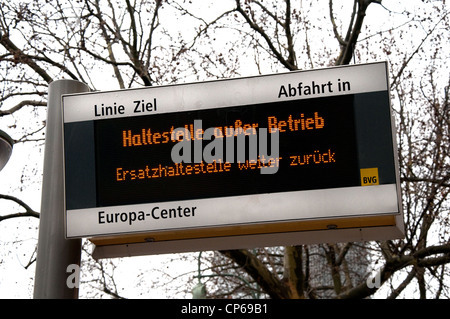 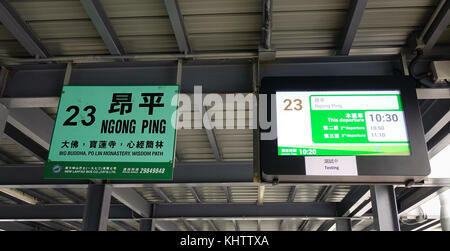 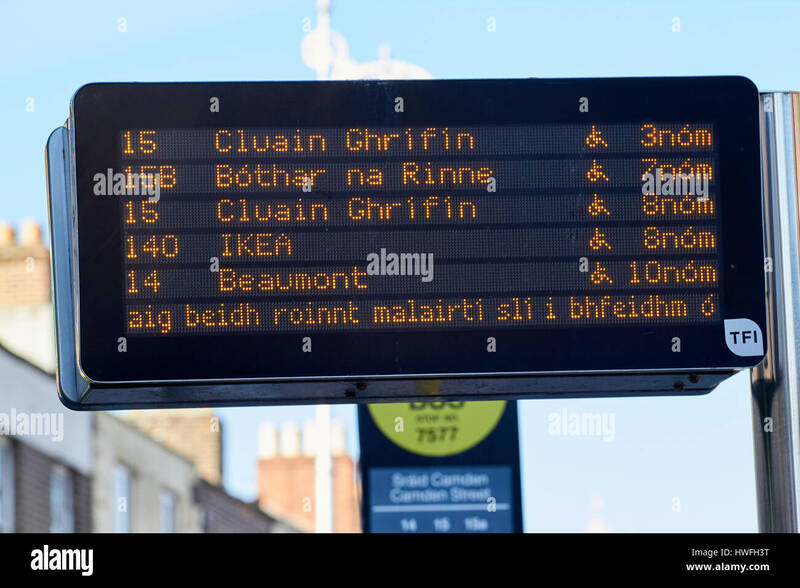 In this sign you can see the bus lines an the time its bus arrives. 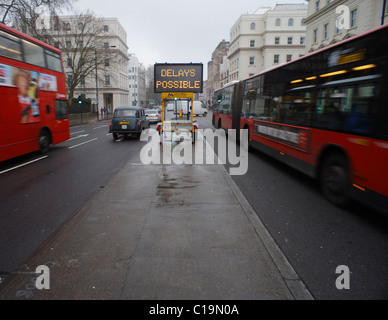 Delays Possible warning, in central London traffic. 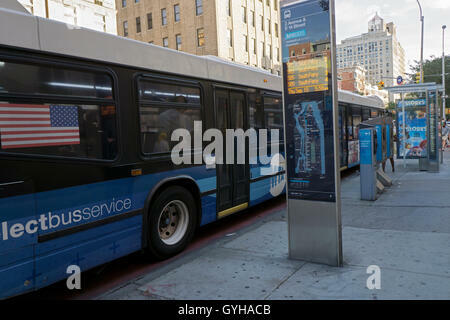 A bus stop on Second Avenue in the East Village with a high tech sign telling commuters when the next buses will arrive.